There's certainly a lot of mystery and suspense about the Senate health care bill. There's just not a lot of excitement in the air. 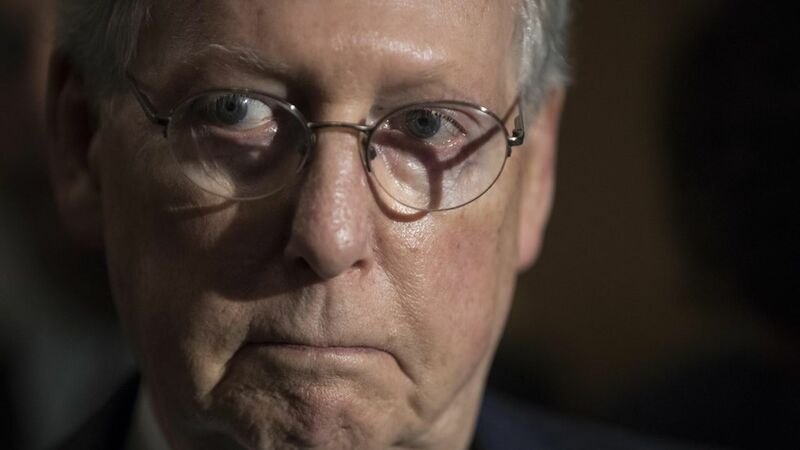 They're on track to release what Majority Leader Mitch McConnell calls a "discussion draft" of the bill on Thursday, but we have yet to hear anyone — including McConnell — say, "We're going to be so pumped when we pass this." For context: Senate Democrats didn't have the votes in hand when they took the Affordable Care Act to the floor in December 2009, either. And the bill they voted on was different from the one they introduced: They dropped the "public option." Still, they released their bill way more than a week before the vote. The bill we see on Thursday probably isn't the one the Senate will vote on next week, as Caitlin Owens reported yesterday. That's because they're going to include state waivers from several Affordable Care Act insurance regulations, including minimum benefits — but with the full knowledge that they could get stripped out if the parliamentarian says they violate Senate budget rules. Ted Cruz, Mike Lee, and Ron Johnson all made it clear they're not on board. "We need to do a substantially better job of driving down the cost of premiums," Cruz told reporters. What he wants: more freedom from the ACA's insurance regulations and "far more robust flexibility" in Medicaid. Moderate Republicans didn't sound happy with the plan to limit Medicaid spending and slow the growth rate in 2025. "I don't look favorably on it, that's for sure," Sen. Shelley Moore Capito told Caitlin yesterday. "Not for it," Sen. Rob Portman said. Sen. Bob Corker wasn't thrilled with the secrecy of the process: "I'm one of those folks that thinks the public process is useful, and I've said that from the beginning. That's not the process that's been pursued." The bottom line: This is far as McConnell would go, when asked if he was confident the bill will pass: "We're going to make every effort to pass a bill that dramatically changes the current health care law."